Volatility and liquidity are terms that the trader hears constantly. But not many know how to competently use them for their own benefit. Liquidity, volatility and what to do with them – all about this you can read on our website. Volatility. Definition and significance for the market. Volatility means variability. Volatility is an indicator of the price change. Volatility occurs regardless the price is moving upwards or downwards. If, for example, we take the maximum and minimum price for a particular time period, say, one hour, then the difference between these two indicators is volatility. In our case it is the volatility per hour. Though, it doesn’t mean that the trader needs to calculate the volatility value manually. There are many programs in the modern financial market that do it for any time period. It is very difficult to forecast the volatility, as it depends on the market participants’ activities. Though, in most cases it always happens after the publication of relevant reports as well as after some political events that influence the economy of the country and the world economy as well. Historically forecasted volatility – statistics of forecasted volatility indicators. A trader shall know what volatility is and how to trade during the high volatility period. First of all, one can use the knowledge about volatility when placing orders stop-loss and take-profit. If one knows the distance to which the indicator moves, it is possible to forecast the take profit and stop loss price more accurately. Secondly, the knowledge about the volatility can be useful when making the correction of the entrance points to the market in case of delayed orders. We often hear such term as liquidity along with volatility. Liquidity shows the demand for a particular asset. In other words, it is the asset ability to be sold quickly. Or, even more simple, liquidity is the possibility to quickly exchange goods for money. There are liquid and non-liquid assets, depending on how much time you need to sell them for their full price. Liquidity is there when there are many active market participants and there is an opportunity to make deals quickly. Moreover, Forex is open day and night that means it provides the trader with the opportunity to immediately make deals. GBP / USD – this currency pair takes 9% of all deals. Volatility and liquidity are closely interconnected. The market participants create them in the process of their activity and these two indicators influence the market and its participants. High volatility in the market– what shall I do? Trade. Periods of high volatility hide unlimited opportunities to earn. Though, the risks are much higher as well. What to do in order to minimize the risks and earn? To trade correctly during the high volatility, one shall know and follow some rules. Do not trade the pairs with high volatility below the time frame. In that case, it is very difficult to forecast the price. Select carefully the entrance points, you should be sure that they are the ones you need. Select a simple trading strategy. You will have no time to think and analyse. If you have been trading not for a long time, choose just one currency pair. Follow the rules of capital management. Do not make deals for the sum exceeding 2% of your deposit. Set up stop-loss and take-profit options in order to decrease potential losses. Now, when you know what volatility and liquidity mean as well as how to trade during high volatility, you increase your chances to earn significantly. Don’t neglect the opportunity to study! I’ve been trading in Forex for some years and can say that unlike other markets it has a number of important advantages, among which high liquidity has got the first position. I advise every trader to be careful in the periods of high volatility. 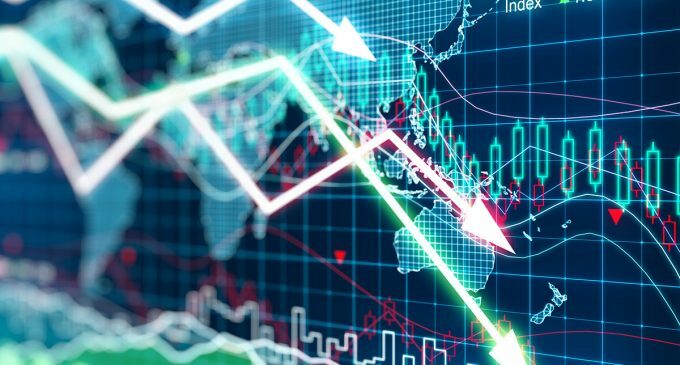 In the hands of the novice, who is poorly versed in the peculiarities of trading instruments used by him, assets with high volatility may become “a time bomb”.